Every January 1st, after we drag ourselves out of bed along with our hangovers, The Husband and I sit down and do our Yearly Calendar Day. What’s this, you may ask? It’s a special “date” we have together where we sit down with a calendar and hash out all of the important dates for the coming year. Prospects of vacations are brought up, days are blocked out for upcoming work engagements, including conferences and out of town meetings, and even family birthdays are scribbled down. With the help of modern technology, this duty has become a bit easier, and I wanted to share with you how to plan your year in a day. 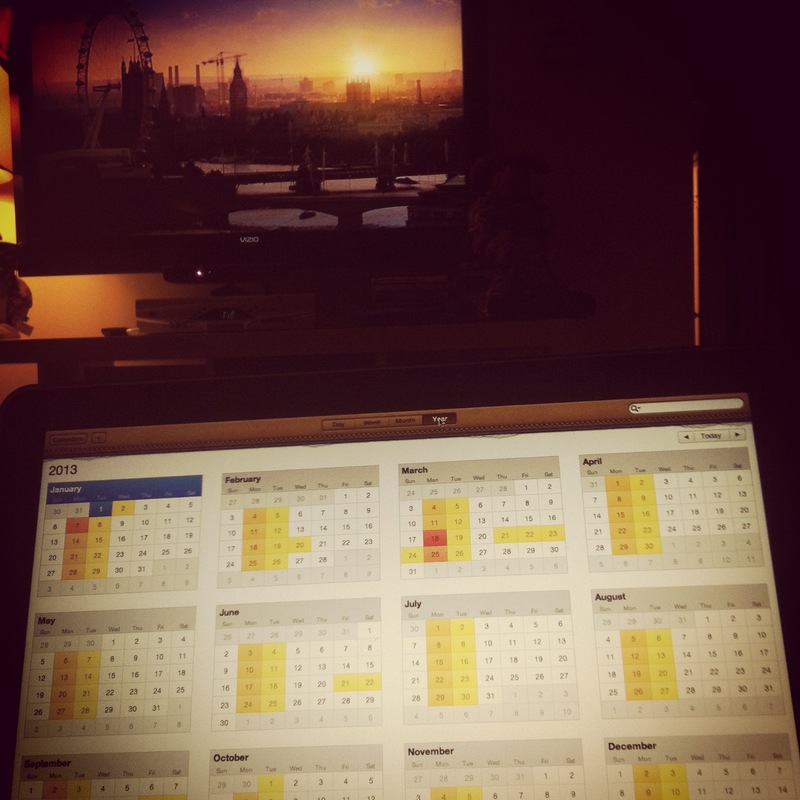 We did our calendar while watching Doctor Who. Yes, we’re the nerdiest of nerds. The easiest part of how to plan your year in a day is writing down (or typing in) dates that are most obvious to you. This would be holidays, if they aren’t already annotated, and birthdays of family and friends. Since you know that celebrations will revolve around these dates, it’s best to plug them in and see where they land. This will help with later steps. If you have someone in your household that attends school, make sure to mark odd school closing days and any spring, summer and winter breaks. Most schools will have their whole 2013 schedule already up on their websites. If you are dealing with elementary and high school, you may only be able to do up to the end of this school year. That’s fine; just make a note to update once you get the new school year schedule. This is the fun part. Once you have all of the above written on your calendar, you can see where you have open days for fun. You can also see which birthdays land near days off or holidays and can plan trips to visit family and friends on their sacred days. You can also plan any birthday parties for those in your own home. If you work for a “brick and mortar” company, you can also see how many vacation days you will need to use for any planned trips. It may sound silly, but this is the perfect time to plan trips and let family members know that you’d like to visit them during this week in that month. 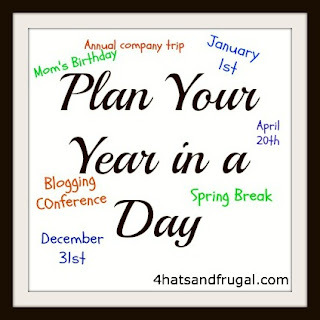 4 Easy steps and your year is planned. This is also great since you have the bones of an organized year, so if something comes up that you have to change, it won’t be hard to see what and where you’ll have to make adjustments. I hope this helps someone and if you have any questions on how to make this a bit more detailed, or even easier, leave them in the comments below and I’d be glad to help!